The Moto 360 is not a new smartwatch. It was launched on September 5, 2014, but it remains one of the most popular smartwatches available on the market. I received my Moto 360 just a couple of weeks ago but I now see why it is so well liked. I absolutely love mine and even though I have been using it for a short time, I cannot imagine being without it. It has become a daily tech essential for me as well as a fashion statement. I have the silver metal band which makes my watch look stylish and great for work. I receive compliments on my watch daily and have even been asked by people on the bus that I don’t know about my watch when they see it. It is definitely a conversation starter. I love how stylish the Moto 360 is. A lot of smartwatches on the market are very sporty looking. The Moto 360 can be sporty if you choose but I love the metal bands and selection of leather wrist straps available for it. The Moto 360 looks like a ‘real’ watch (with its round face) and one that I can wear in a professional work environment comfortably. At first glance when taking it out of the box, you may think it will be bulky but it is very comfortable on the wrist and it is no bulkier than some of my other regular watches. I also like how the metal bands are available in an 18mm size for women. It is definitely a premium feel and built smartwatch. 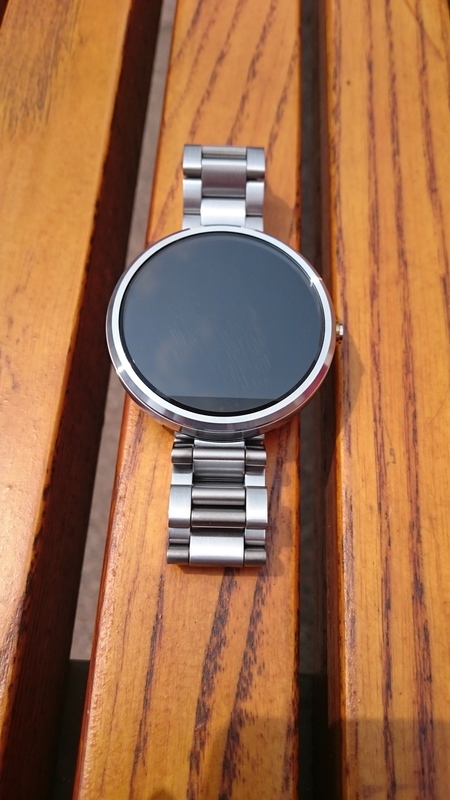 The Moto 360 charges wirelessly (via contact-free inductive charging) with the included charging dock. I love that there are no cables or wires to fiddle with and plug into the smartwatch. I have seen complaints about the battery life but I can get a full days use out of it no problem. I charge the Moto 360 at night as I don’t wear it to sleep. 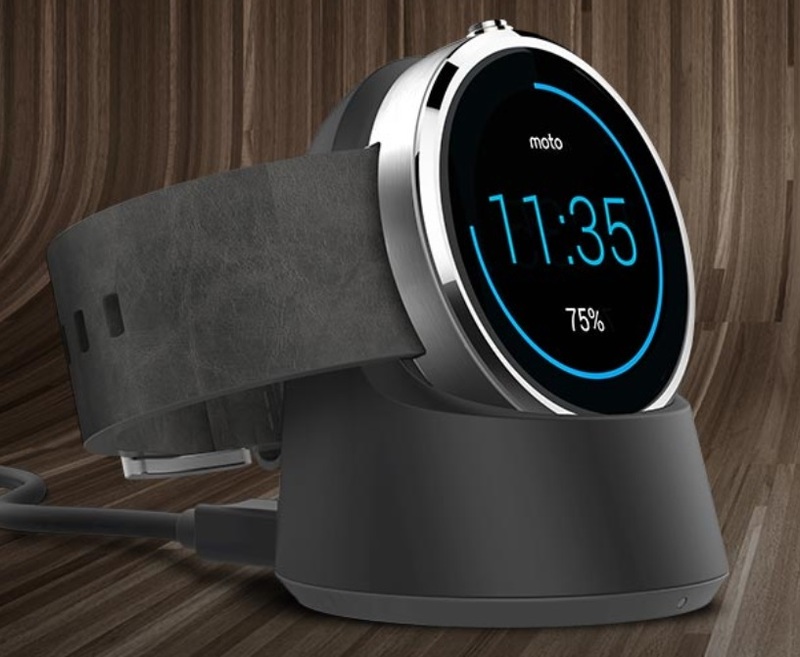 When the Moto 360 is in the charging dock it goes into bedside mode, so the time and charging level (in the form of a blue circle) are displayed. It also charges very rapidly. From an almost dead battery it takes under two hours to charge fully. Motorola is known for their great speaker technology, and the noise cancelling microphone technology on the Moto 360 appears to be in a class of its own. I can speak commands into my watch on a busy street or bus without issue. The Moto 360 only uses voice recognition for Google Now searches and text transcription: it can’t make audio phone calls or send voice messages. 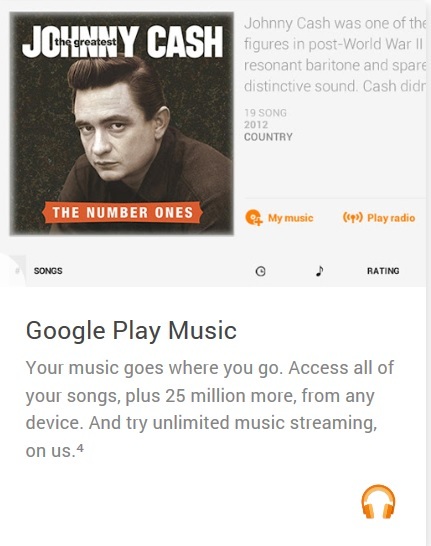 There is also no speaker, so you can’t use the Moto 360 as a speakerphone, either. 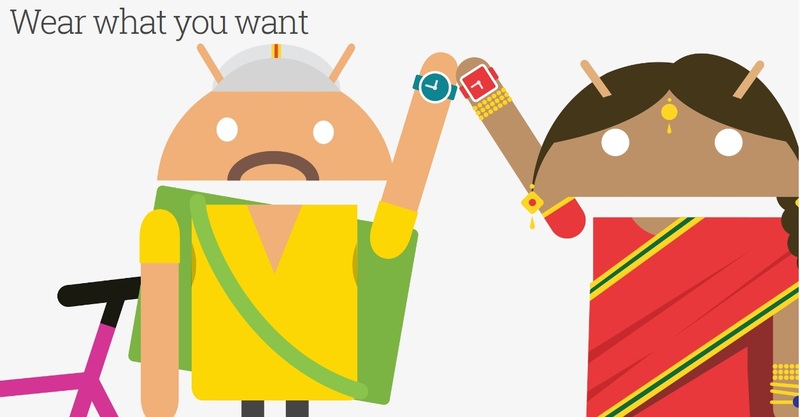 This is the same as every other Android Wear watch that is available to date. Moto Body encourages you to get at least 30 minutes of activity a day, 5 times a week. To see a summary of your daily activity, touch the watch face then scroll down and touch Moto Body Heart Activity. Swipe left to see the weekly summary. To measure your heart rate, touch the watch face then scroll down and touch Moto Body Heart Rate. 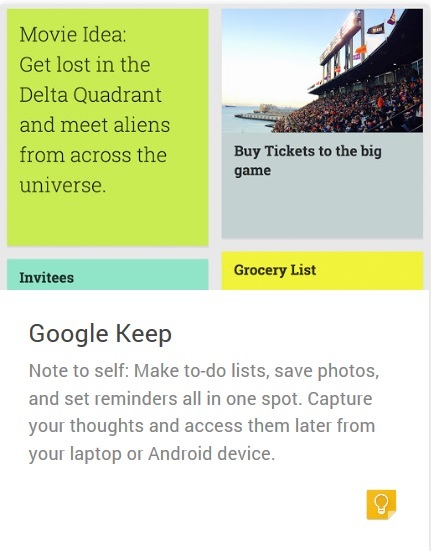 Swipe left to access your daily summary. Moto Body tracks the step you take through the day and shows the progress you’ve made towards your daily and weekly goals. 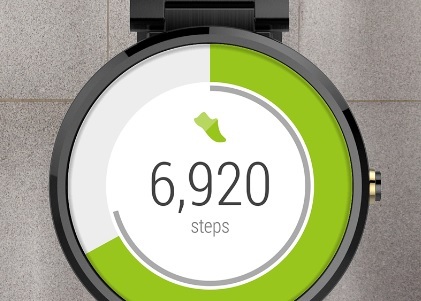 To see your steps and distance, touch the watch face then scroll down and touch Moto Body Steps. Swipe left to see the weekly summary. Moto Body calculates how many calories you burn throughout the day based on your personal profile and how much activity you engage. 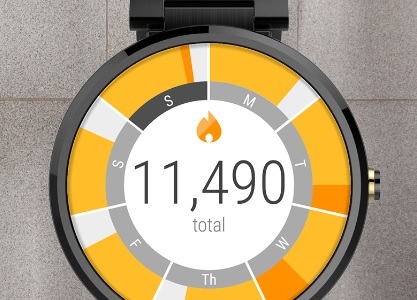 To see calories burned, touch the watch face then scroll down and touch Moto Body Calories. Swipe left to see the weekly summary. Moto Body analyzes your performance and provides the motivation you need to help you lead a healthier lifestyle. Moto Body will even suggest to increase your goals when you are ready for a little bit of a challenge. You can now opt-in to receive weekly email summaries of your progress, including performance charts of your steps, calories and heart activity. You can subscribe to the email summary in your Moto Body Profile in the Motorola Connect application on your phone. 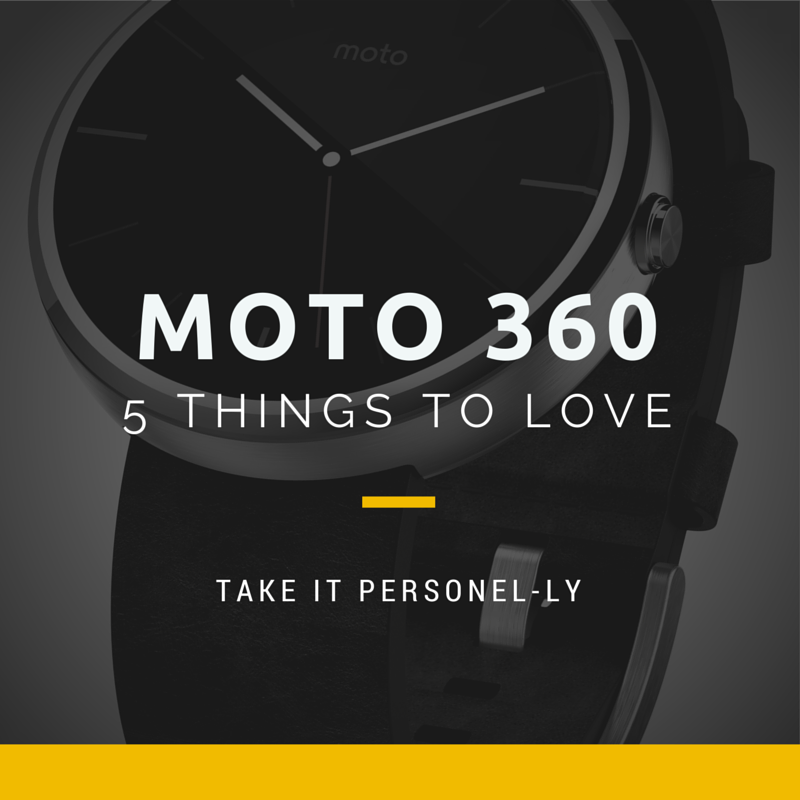 I love Android and with the recent upgrade to Android Wear 5.1 I am not disappointed with the features on my Moto 360. 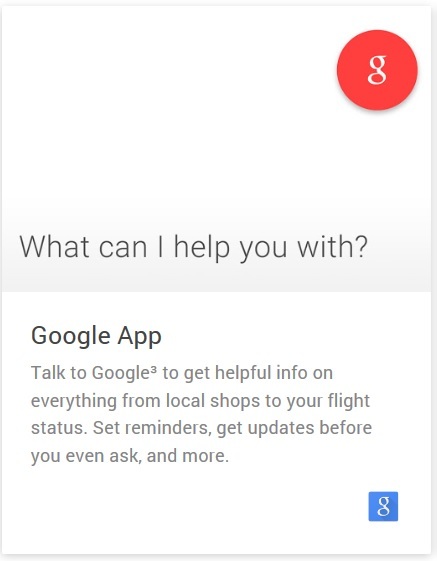 The Google Now card notifications that I receive on my phone and tablet are on my Moto 360 as well. I also love the selection of watch faces available that can match my moods and wardrobe. With a glance at my watch, I can see who’s calling, get messages, texts, and alerts — all without reaching for my phone. I can also stay connected via Bluetooth via my phone or via Wi-Fi when I leave my phone behind. 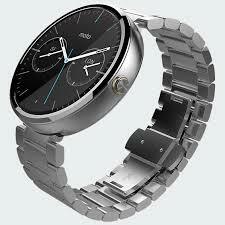 Learn more about Motorola’s Moto 360 here. Stay tuned for more about the Moto 360 as I will be providing tips and tricks for optimizing its use and information about the newly updated Android Wear 5.1. A leather band, stainless steel case, and scratch-resistant glass, with a round display for that classic wristwatch design. Built-in pedometer and heart-rate monitor make it easier to track your fitness goals. Power to last a full day, with a dock that displays the time on your watch while it charges wirelessly on the dock. Use your apps even when you don’t have your smartphone with you, anywhere there’s Wi-Fi. I received a Moto 360 from Motorola for review purposes. Good or bad, my reviews and opinions are honest with my readers best interest in mind. Wow – I didn’t even know they made smartwatches (hang my head). 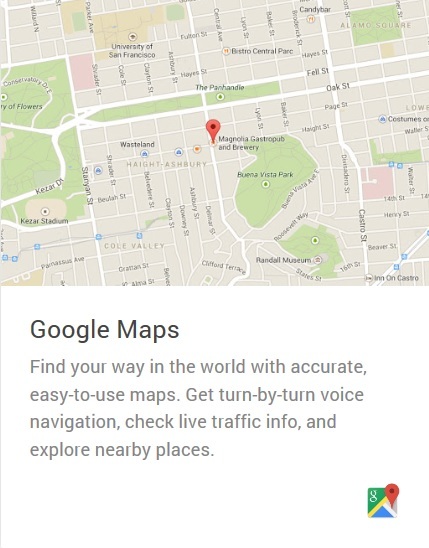 Some great features – I would love something that would count my steps for me! What a versatile smartwatch! 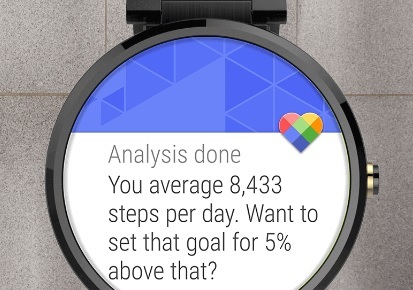 I love the built-in pedometer and the variety of watch faces you can switch out to match your outfit and your mood.